Montessori Nature Tables to Love! Today I wanted to show you some nature tables designed for the Montessori (home and school) environment. The change in seasons is always a good time to refresh the nature table. While our nature table isn't always season specific, I'm always looking for new ideas! Above Making an Autumn Nature Table at Grow Grow Grow! For the home environment, I love the idea of using the season themed colour tablets. A poem on the chalk board is a lovely idea! A nature table at Helensville Montessori. Insects in resin are always a nice touch. I think there is also an interesting cross section of a pine cone! This is one of my favourite nature tables with an ocean theme. A simple nature table at The Kavanaugh Report. This is really simple but beautiful and can be meaningful for a toddler. How gorgeous is this? This is a nature table at Merci Montessori. I also love the nature table they have here, perhaps for a younger child as it's a little simpler. This is a nature table from the French kindergarten class at Lycée International Montessori - Athena School. 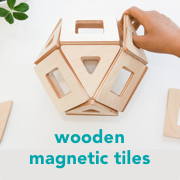 If you follow the link they also have a few tips for creating a Montessori nature table including changing it regularly and to label items for early readers. Feeling inspired? I've lots of ideas to get started on a spring nature table! Superfood ideas to try with the kids! My kids are always starving after school. They love nothing more than coming home and having snack. The boys also love chocolate milk which is a reason I really wanted to try these new (just launched) superfood powders for kids. They are made by a local, Queensland company so I knew I had to share them. Mavella Superfoods provided us with their superfood powders to try. Above the boys are drinking the Brain Boost, just like a chocolate milkshake (but good for them), it contains cacao, kale, chia and probiotics. Another powder we mix to make milkshakes is the Immune Boost. These berry milkshakes last seconds in our house. The Brain Boost, Immune Boost, and Body Boost are all fruity flavours and do well in smoothies, milkshakes, pancakes and muffins. I also love that I can make fruit smoothies when I don't have any fruit in the house, I use two teaspoons of the powder per 250mls of milk. I've also made some frozen yoghurt pops. I made three varieties, one with mango yoghurt and the Body Boost, one with frozen blueberries, greek yoghurt and the Immune Boost and one with frozen raspberries, greek yoghurt and the Immune Boost. I put the fruit, yoghurt, some milk and the superfood powder into blender to mix and then pour into these really fun moulds. It's super convenient to have them in the freezer for after school snacks or for when friends come over! They are not just for kids - I love these too! Mavella have a few recipes to try (think cookies and protein bars) but today I went with some easy and nutritious muffins. Muffins are fantastic for snack and school lunchboxes. I am also thinking these would be ok for breakfast too. Want to try the recipe? Combine all ingredients in a bowl. Spoon mixture into large patty pans or muffin trays. Bake in oven at 180°C (≅350°F) for around 15 minutes or until golden. This makes 9 large muffins. For a more chocolatey taste you could add a tablespoon of cacao and if you need it sweeter you could add a tablespoon or so of honey. Totally delicious and really good for the children. The Veggie Boost is perhaps the powerhouse of the group. It contains super-concentrated vegetables and prebiotics. It's a fine green powder that is really versatile. It can go into smoothies or juice but I love it mixed in with spaghetti bolognese or mixed through a pasta sauce (a heaped tablespoon is plenty). It gives any meal an instant vegetable boost. The Veggie Boost can also go into savory muffins, frittatas, quiche, meat-balls, patties, almost anything! Thank you to Mavella Superfoods for allowing us to try all superfood powders! You can find out more about Mavella Superfoods on their website, Facebook or Instagram. I'd love to know how many serves of fruit and vegetables your children eat. I am sure both of my children eat enough fruit but I know Otis (my five year old) does not eat enough vegetables (at the moment he'll only eat carrot and corn)! What are Montessori 'Action' Cards and how we use them. Montessori 'Action' or 'Command' Card are really easy to use at home. They are simple to make; they can be hand-written or printed. They can be adapted to your child's level of reading, from simple consonant-vowel-consonant words to complex phrases. Otis is still learning some of his phonograms, and he knows some sight words (such as 'the'), so I know I can mix up the cards and include some that are easy and some that are more challenging. Unlike other Montessori activities, I think this one is really good to do at home; it doesn't take away or duplicate any work done at school. You also know that if your child isn't engaged or having fun, then it's not a good activity for them at that time. Montessori Action Cards contain action verbs. The child reads the word or phrase and then acts out the action. It makes learning to read fun; there are lots of ways to be silly! You can show your child the card and do the action together. Alternatively, you can put the cards in a pile and take turns reading the cards and performing the actions. There really isn't a wrong way to do it. So simple! Using the Montessori Action Cards is a fantastic way to do some reading work in short bursts, it's an easy five-minute game that you can play together. Montessori Tides School has a brief description for parents on how to use the cards with 3-5-year-olds. The Helpful Garden has some free printables and further explanation which you might find useful. You know I love Miss Rhonda's Readers, and she also has action cards, (a pack of 32 phonetic cards and 32 phonogram cards) which makes it easy to find suitable words for your child, and if you have other sets of hers, you can start to make phrases. If you are using the Montessori Action Cards, I hope you are having some fun! Montessori International College - Montessori schooling for students 3-18 years! Today I had the privilege of visiting the Montessori International College at the Sunshine Coast, Australia. The College is in a purpose built facility and caters for students from three to eighteen years. They also run a Parent-Toddler class. Yes, you read that right, they offer a full high school program! This school has so many unique features it was a delight to visit. I hope you enjoy this little tour. This is a part of the playground for 3-6 year students. There is a sand pit in this covered area. This yarn bombing looks fabulous. The main building has been designed in a circular form. The 3-6 year classrooms are on the ground level and the 6-9 year classrooms, with administration offices are on the second level. I love the concept of this 'green' wall, the fencing on which plants are growing (currently in winter). It will look fabulous when these plants are fully grown. The circular form of this building makes it feel very inclusive. A peek inside the Parent-Toddler classroom. The windows are at toddler height! In all of the classrooms the windows are at the children's height which is possible when the building is purpose built. The 9-12 year class is located nearby in detached buildings. Above is a section of the 9-12 year class garden. Above and all pictures below are from the Adolescent Community. I found this the most interesting as I haven't visited a Montessori Adolescent Community before. I have seen a few pictures online and I have heard lots of good things, however it was such a good experience to see it in person. The whole school is on 22 hectares backing onto rainforest. The children have a lot of space for their farm and other pursuits. This area of the school has a relaxed vibe. The school has many innovative features. These buildings have been recognised for sustainable architecture, you can see more images at the Australian Institute of Architects. Classrooms in the Adolescent Community. Above is part of the area for the farm where the children can work on or make repairs on their equipment. You can see more of the Montessori International College Adolescent Community below. Thank you to Rebecca from I Am Montessori for accompanying me on this tour and to the staff at Montessori International College; Mark, Marina, and Rebecca who all took time out of their day to talk to us. If you are located near the Sunshine Coast I highly recommend having a look at this authentic and innovative Montessori school. Creating an 'exploration' area for Otis. We've changed our nature table into a whale exploration area! When I don't want to purchase any new materials I turn to my printer. I've printed out some excellent resources to help the boys make sense of their whale watching adventure. I want them to learn from the materials, to find out the answers themselves. Otis collected his model whales and the globe. I collected all of our printed materials and some pictures. We put a basket of whale-themed books next to the table. A migratory map with our globe. Parts of a whale (baleen) cards. The descriptions of each part is on the back of the card. Photographs of whale behavior. The description of each behavior is on the back of the photograph. This was fun... working with Otis with some moveable alphabet letters. This was his first attempt! I love this illustrated canvas. Sources: Parts of a Whale Cards (download) from Diamond Montessori and Whale Canvas from ARMINHO, both on Etsy. Book is Natural History. Whale Watching at Byron Bay! "When children come into contact with nature, they reveal their strength." - Maria Montessori, The Discovery of the Child. There is something to be said about salt water therapy and spending time in nature. Last weekend we drove to Byron Bay. I didn't mention it to the boys before we left but at this time of year, it is a well-known spot for whale watching!! The boys were so surprised to see the whales. There were at least three humpback whales frolicking off the coast giving us a wonderful display. We loved every minute of it! It's nice to learn about something in videos and books but you can't beat the real thing! The boys watched the whales breaching, tail and lots of fin slapping, and spy-hopping. We were thrilled! It was a truly amazing experience, I've never seen anything like it before. The whales were huge but so graceful and playful! The boys asked so many questions, some of which we are still to answer. Lots of "why are they doing that", "what are they doing" and "where are they going", "where have they come from". Byron Bay has a lot of offer, it's a magical place. We fell in love (with Byron Bay and the whales!). The boys spent so much time exploring, beachcombing. "There is no description, no image in any book that is capable of replacing the sight of real trees, and all the life to be found around them, in a real forest. Something emanates from those trees which speaks to the soul, something no book, no museum is capable of giving." "When the child goes out, it is the world itself that offers itself to him. Let us take the child out to show him real things instead of making objects which represent ideas and closing them in cupboards." Maria Montessori - From Childhood to Adolescence. We left feeling very inspired! You can see a few more of our pictures from our trip to Byron Bay here. This is my favorite day trip so far, next time we will head to Noosa! We still haven't been to Australia Zoo, which is also on my wish list! I know many children are preparing to go back to school or perhaps starting school for the first time! If you are starting at a new Montessori school chances are you have already completed an observation and your children may have already visited their classrooms. My children started in the Montessori classroom (Cycle One) when they were around three years old. When I found Jack Goes To Montessori School, I was thrilled. While it's not an official back-to-school or starting school book, I think it's perfect for reading at this time of year. Many books about schools just don't fit with the Montessori philosophy or don't depict Montessori classrooms. It's why I love this book; it's the only picture book I have found that features a Montessori classroom with materials and activities the children will be(come) familiar with. If your child hasn't started school yet they might not be familiar with the materials but after a week or so I am sure the will start to make some connections. If you have completed your observations at your school and still have questions or simply want to know more about Montessori schooling, there are a few books that I would recommend. I believe Montessori In The Classroom: A Teacher's Account of How Children Really Learn was written for Montessori teachers, however, as I parent I found it insightful. It is more conversational and more of a personal recount than other books, but I like this. Montessori Madness was written with parents in mind. It is more of an argument for Montessori (pushing the point at times) but still really useful in finding out how children in Montessori classrooms behave and how they learn. I recommended having a look at your school's parent library (hopefully, they will have one that is well stocked) for The Montessori Children's House: An Introduction, What is Montessori Elementary (for students moving into elementary) and A Parent's Guide to the Montessori Classroom. These are brief but can be helpful for those completely new to this environment. When Caspar first started school I was at the parent library weekly, it is a fantastic resource! Does your school have a parent library? If not, you could ask your child's teachers, they may be able to make some good recommendations or find some books available for loan. Edited to add: I really love this book called Oscar's Lunchbox, which could also be useful going back to school if your child has food intolerances. It is a story about Oscar (who has food intolerances) and his lunch box looks a little different to others. My children don't have any food issues but I like the story as it is really about acceptance and eating what is good for your body - everyone's lunch box looks a little different! Today I have a few more Montessori classrooms to show you. They are all unique and all very beautiful. The uniting features? The materials, the open layout, the workspaces, the natural finishes! Above is Little Birds Montessori Preschool near Geneva Switzerland. Headland Montessori, Manly, New South Wales, Australia. This classroom is very open and I love the timber flooring. Seton Montessori School, IL, USA. The stained glass windows are amazing. Sancta Maria Montessori Pre-School, Christchurch, New Zealand. This building is so lovely. The Washington Montessori Institute at Loyola University Maryland. Although this is a teaching facility, a model school, there are still lots of interesting pieces. 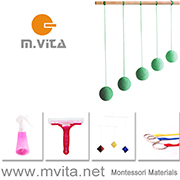 Montessori Point Cook, Victoria, Australia. I love how in this picture you can see how the children work. Sometimes they work on the floor with a work rug, sometimes at the tables individually and sometimes at the tables in groups. Grand Blanc Montessori, Michigan, USA. This classroom looks really homely. You can also read Montessori Classrooms - Around the World Part One and Part Two. In most cases, you can follow the links to read more about the schools. To be included in this series please (I would love to feature more schools from Asia and Europe) submit photographs or links to howwemontessori@gmail.com. Toddler Water Activities - by I Can Do It Montessori! Today we have Rochelle from I Can Do It Montessori presenting some toddler water activities. Rochelle is an experienced Montessori guide. I love taking a peek into her classroom. These are more than play activities they are valuable, practical life experiences. All photographs are from Rochelle's Montessori toddler community but you will find lots of ideas and inspiration for the home. I really love the way Rochelle describes the activities and the role of the parent/guide. There are many take home messages here. Thank you to Rochelle for the following post! For all these activities you'll need a water source that's easily accessible for your child. I use a glass beverage dispenser with a push-down tap (easy to find on Amazon). You'll also need a low table and chair, and a low shelf or unit to store everything clearly. Activities for toddlers are generally a collaboration between you and your child. Although they may need your support, please remember that mess is a great opportunity for development! Try not to step in before your child's had a go at clearing up. A water spill invites your child to use problem-solving skills to find a solution. Children take longer to think through the options available so stay back and observe to see what's happening. If they walk away then you can step in to help them clear up. But always wait first and let them try before you offer any help. In my training, our teachers told us to "Sit on your hands" when we felt we should step in and help. Sometimes it's so difficult to trust that your child will find a solution independently. Maybe they will and maybe they won't, but wait a few moments to see what happens. By letting your child discover solutions for themselves you are allowing them to build self-esteem (self-belief) and logical thinking skills (common sense) to aid them through their whole life. Everything that follows is built on what your child experiences in their first 3 years of life. If there is a breakage, the most important thing is not to panic. Calmly move your child to a safe distance and put all the broken pieces in newspaper and into the bin. Hoover up the whole area and then resume the activity. Please don't feel you have to make a big issue out of it - your child will have watched everything and make their own decision to be careful next time. Carry one object at a time because your child is still developing motor control skills. Slow all your movements right down - much slower than you think would be necessary. This allows your child to watch each movement carefully and discover how to imitate you accurately. A great question to ask yourself is "Is this dangerous, harmful or hurtful?". If the answer is no, you can stand back and observe before stepping in to help. It's a great idea to name everything you'll be using. This extends your child's vocabulary (even if they aren't talking yet) and they'll have many more words to express themselves once they start speaking. Finally, encourage your child to repeat activities as many times as they like. Repetition is the basis for concentration. Model the behaviour you want them to emulate - show how you repeat things a few times before putting them away (e.g. reading a book, doing a puzzle, singing songs). Also, show how you finish a whole cycle of activity (e.g. emptying the dishwasher so everything is put away, taking out a puzzle and putting it away afterwards, having meals and clearing away afterwards). This is a brilliant activity for even the youngest toddler. They love being allowed to pour their own drink many times and use a real cup - sometimes this activity lasts about half an hour! Preschoolers can pour drinks to serve to friends and family. Keep everything accessible (on the tray) on a low shelf. Name all the objects you can see. Encourage your child to put on the apron and carry the tray to the table. Show your child how to do the activity: fill the jug with only as much water as will fit in the glass and put it down on the tray; sit down and carefully pour the water into the glass; hold the glass with both hands and drink the water; dry any spills. Invite your child to do all these steps independently as many times as they like. When they've finished, they can carry the used glass and jug to the sink or dishwasher. The tray goes back on the shelf. The wet cloth can be hung up to dry or put straight into the washing machine. This is the perfect water activity if you want something quick and easy. Encourage your child to put on the apron and carry the container to the object you'll be cleaning. Show your child how to do the activity: use the scrubbing brush to clean and make lots of bubbles; wipe off with the sponge; dry with the towel. Make slow, small and large circular movements with the brush; left to right with the sponge. Invite your child to do all these steps independently as many times as they like and clean as many objects as they want to. When they've finished, everything goes back in the container and on the shelf again. The wet cloth can be hung up to dry or put straight into the washing machine. The children love using a spray bottle! It's important to remind them before the activity starts that we only spray the windows or mirrors. Set a clear limit: if they spray people, walls or other furniture we'll have to put it away. Give them one chance and then put it away - show they can trust you mean what you say. Keep everything accessible (in the container) on a low shelf. Encourage your child to put on the apron and carry the container to the area you'll be cleaning. Show your child how to do the activity: spray water all over the glass; use the squeegee to slowly draw all the water down to the bottom; dry the bottom with the towel. Invite your child to do all these steps independently as many times as they like and clean as many areas as they want to. They may want to spray everything many times before using the squeegee or towel. That's ok as long as you ensure the water is all dried up at the end. This is one of the children's favourite activities because flowers are so pretty and, of course, there's water involved! I usually find tiny vases and jugs in charity shops, discount shops or eBay. Keep everything accessible (in the baskets) on a low shelf. Encourage your child to put on the apron and carry one basket to a table while you carry the other one. Arrange the objects in a logical order: left to right, top to bottom (e.g. place the jug and funnel on the left side of the table; vases in a line in the middle; towel on the right). Show your child how to do the activity: carry the jug and get water; take it back and pour the water through the funnel into a vase; place a flower in the vase; wipe up a spill if there is one. Stand nearby but don't interrupt if you can stand it! You can help wipe up spills at the end.. When all the vases have been filled you could carry them to various places around the house to make it look extra pretty! Or your child might want to tidy all the flowers up and pour the water back into the bucket. Then they can carry the bucket to the sink (or outside to water the plants) and tip out. Finally, all the vases need to go back into the basket and everything goes back on the shelf. The wet cloth can be hung up to dry or put straight into the washing machine. Take the scissors and bouquet of flowers to the table. Show your child how to cut a flower stem and place it in the basket. Invite your child to cut all the flower stems and then put the leftover leaves into the bin. Then begin the main activity using the flowers your child has prepared. Children love to wash their hands over and over, but some parents worry this is a sign of OCD. There's no need to worry - young children love repeating all kinds of activities and this is one of the most popular! We use a bar soap instead of a liquid because it offers another opportunity for your child to develop their hand coordination. You can buy small soaps online or cut a standard bar soap into 6-8 small pieces. Keep everything accessible (in the baskets) on a low shelf, with the bucket nearby. Encourage your child to put on the apron and carry one item at a time to the table. Arrange the objects in a logical order: left to right, top to bottom (e.g. place the soap in the soapdish on the left side of the table; bowl in the middle; jug and towel on the right). Show your child how to do the activity: carry the jug and get water; fill it halfway; carry it back to the table; wash your hands slowly (show your child how you clean your palms, the backs of your hands, and each finger in turn). Try to make each of your movements slow and careful so your child can watch you closely. Rinse and dry your hands then pour the used water carefully into the bucket and carry it outside or to the sink. Don't worry about water splashes. - let your child enjoy the experience for as long as they like! When they've finished, help them dry everything and put it all back on the shelf. The wet cloth can be hung up to dry or put straight into the washing machine. This is a simple way of letting your child wash up without worrying about breakages because we only wash one object at a time. Children love squeezing bottles and it would be so easy to use up a whole bottle of washing up liquid in one go! To avoid this, find a tiny bottle and only put a tiny amount of liquid in it. You can refill as needed. Arrange the objects in a logical order: left to right, top to bottom (e.g. place the rack at the back of the table; jug, liquid and sponge on the left; bowls in the middle; towel on the right). Keep the tray of objects for washing next to the table. Show your child how to do the activity: carry the jug and get water to fill both the bowls halfway; squeeze the washing-up liquid into the left hand bowl; choose an object and wash it slowly; rinse it in the right hand bowl; place it on the drainer). Show your child how to pour the used water carefully into the bucket and carry it outside or to the sink. Rochelle Cutler is a double-qualified AMI Montessori teacher with over 12 years teaching experience and over 20 years nannying experience. She runs I Can Do It Montessori, providing baby groups, toddler classes, parenting classes and parent workshops in Enfield, home tutoring in North London, and 121 family support in London and the South East of England, UK. When is the best time to introduce the microscope? When is the best time to introduce your child to a microscope? When they are curious! When they ask questions only a microscope can answer. When you have something truly fascinating to show them. If they loved reading Tiny Creatures: The World of Microbes - that time is now! The world around us provides many free and amazing learning materials, all we need to do is to reach out and use them! The microscope allows the child to explore the world in a completely different way. The first time a child uses a microscope or views a cell can be life changing! It can ignite a passion! A microscope is a tool, not a toy. No matter their age, children should be taught how to use and care for it correctly and respectfully. In my experience a child of 3-4 years can be shown how to use and handle a microscope, they can view items under it but will struggle to use and focus it independently. By 5-6 years old I allow my children free access and independent use of the microscope. At this age, they generally have a good grasp of focusing and can use it and prepared glass slides with care. By 8-9 years and onwards most children will be able to start preparing their own slides and making their own conclusions and discoveries! Consider setting up a science or discovery area or shelf. Microscopes should be kept in a prominent place where the children can access it (if age appropriate). I want to encourage my children to use the microscope and for it to be available at the exact moment they need it. I want them to make their discoveries freely. If you are using a microscope for the first time prepared slides are your friend, they make it super easy to start exploring with your children and there are many different samples available. We use the My First Lab Duo-Scope Microscope. I have used a few microscopes with my children and the Duo-Scope is by far the best, we've been using it for years, it is good quality and suitable for young children using a microscope for the first time but also suitable for older children. Below are some photographs from our samples today including an insect wing, silk, cotton and Epsom salt crystals. If you are in the US or Canada you might be getting ready to send the kids back to school. I thought it was the perfect time to talk about something I love... backpacks! Size! Does the bag fit the child? Especially with a toddler or preschooler ensure the backpack is not too big, this may require some research and shopping around, but it is important. Search for 'mini' backpacks and compare dimensions to get the size right. Adjustable. Does the backpack have adequate adjustable straps? The child should be able to wear the backpack well fitted and snug against their back. Ensure the straps can be shortened enough for a smaller or younger child. Ensure the straps are adjusted before school starts, it only takes a minute. Comfort. Is the backpack comfortable to wear? The fit of the backpack will play a role in this but consider strap width, strap positioning, and padding. Independence. Can the child put the backpack on, take it off and open/close it independently? Many backpacks have zippers, buckles, clasps or clips that can be difficult. Practice if necessary to ensure your child has mastered it before school starts. Independence is also important in allowing your child to pack their own backpack, ensure they have everything they need and be age appropriate but try to guide your child rather than do it for them. Weight. Children don't need a big bulky, heavy bag. Look for a lightweight bag that won't weigh your child down. Pockets and storage. Ensure the backpack has adequate storage for your child's needs. Good aesthetics. I love a good looking backpack! I suggest if going to a Montessori school to stay away from character backpacks. Many schools clearly ban materials with characters on them and they are best left at home. It's also helpful if your child has ownership over their backpack, perhaps with some guidance such as a selection from a small range, the child can pick out their own backpack or select the colours. It's important to set a high standard early on. If the child learns good posture and cares for their back, this will continue with them for life. This is an interesting article written by a Chiropractor for Montessori Australia Is Your Child's Back Pack Weighing them Down? A key message for older children (my eldest son often carries heavy books and a laptop in his backpack) is not to overload the child with them carrying too much weight. From their Montessori toddler classes both of my children used the Fjällräven Kånken Mini backpack. It is lightweight and a good size for little ones. Otis at five still uses the Kånken mini, and Caspar at eight uses the larger Kånken. The Re-Kånken has recently launched which comes in the same mini size but is made from recycled plastic bottles and is recyclable itself!! We have a little toddler friend who wears (and looks adorable) in the Skip Hop Mini, it fits him perfectly (nice and snug), and it's large enough to hold a water bottle, snacks, a hat and perhaps a small change of clothes. It's also a good idea to consider if you might use the backpack for travelling or outdoor adventures. Waterproofing may be important. You might also like to read My favourite kids' backpacks and bags at Montessori Notebook. I love all of Simone's picks! If you are also looking for lunchboxes, you can see our recommendations here. If you are heading back to school (parents and teachers!) I wish you lots of luck and best wishes for the new school year. Have you been watching the Olympic Games with your children? Have you been doing any specific Olympic activities with them? Today Caspar had his school sports day. During the opening of the event, the school principal gave the children several quotes by well-known Olympians. It was such a nice way to start the day and get the kids into the Olympic spirit. "Gold medal aren't really made of gold. They're made of sweat, determination and a hard-to-find alloy called guts." - Dan Gable. "Don't put a limit on anything. The more you dream the further you get." - Michael Phelps. The Olympic Games can provide many learning opportunities for sport, sportsmanship, geography and culture. Here are some Montessori Olympic ideas that I love. An Olympic themed shelf as above by My Nature Place and Montessori. Summer Olympic games three-part cards (for children 3-6 yrs) at Montessori Helper (free download). Keeping a Medal Tally at Living Montessori Now. I love this idea, it would keep children in touch with the day's events with a bit of patriotism. The NAMC Blog has a few articles about the Olympics and I really like this one (from the winter games) about incorporating the Olympic spirit into the classroom. For older children (8-9 years +) this site is really powerful Olympics - Stories of Peace "Sport has the power to bring people together. It builds friendships and draws lines of respect across borders. And it always triumphs." We have also been reading G is for Gold Medal and Olympics. I hope you have a good weekend with lots of fun watching the Olympics! Montessori Apple Activities to Love! Apple life cycle work / Apple sequencing cards / Grating apple. My kids are crazy for apples right now. There are so many Montessori activities that include apples for all ages. Above I have listed a few of our favourites. I also love the idea of making apple sauce, apple pie and dried apple. We haven't used any parts of an apple work recently so we might do that again soon too!